I always want to get everyone around me a Christmas gift, including my coworkers. It's hard to shop for them, especially if you know them but not really well but don't want to leave them out. 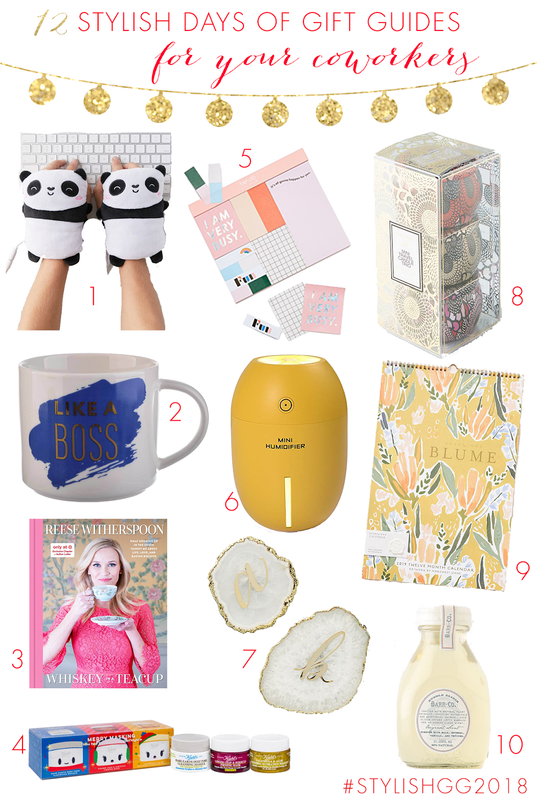 Well rest assured I have you covered today with some great ideas for gifts for anyone's coworkers! Remember to follow along on social media using #StylishGG2018! You can also access all of the items I share each day in the "Holiday" tab at the top of the page and under "Gift Guide Shop" as well as each gift guide under the "Gift Guides" tab! Happy Shopping!